The Brighton Festival is an unrivalled arts celebration that takes place during May each year on the south coast. It has a wide ranging arts programme taking in music, theatre, dance, film, literature and lots more. The 2015 Brighton Festival runs from the 2nd May to 24th May and the Guest Director is award-winning author Ali Smith. The Brighton Festival has something for everyone with event types including books & debates, classical music, families, theatre, contemporary music, visual arts and film, dance and circus and outdoor. What's more the Brighton Fringe is the third largest open access festival in the world and 2015 offers some 760 events at 176 venues over the 3 weeks of the Festival. 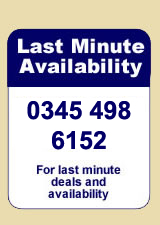 If you are looking for some last minute self catering apartment, flats or cottages then we recommend you call 0844 847 1143 for a great selection of properties and the latest availability and deals.